New Jersey employment law has long protected employees against discrimination in employment. New Jersey was one of the first states to do so, passing the Law Against Discrimination in 1947. One of the things that New Jersey’s Law Against Discrimination protects employees from is discrimination because of disabilities. This means that employers are prohibited from doing three things. First, employers cannot take adverse actions, such as firing or demotion, against employees because of their disabilities. Second, employers cannot harass or create a hostile work environment for employees because of their disability. Finally, employeer cannot fail to make reasonable accommodations so that employees can do their job even with their disabilities. When an employer violates New Jersey’s Law Against Discrimination, employees may sue their employees. If they are successful they can recover their economic damages (such as lost pay), compensation for their emotional distress, the attorneys fees and litigation expenses they spent in the lawsuit, and sometimes punitive damages. Of course, the employees must first prove that the employers violated the New Jersey Law Against Discrimination, and then they must prove their damages. Proving that an employee had a disability is part of the employee’s required proofs. 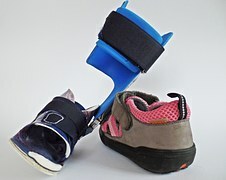 In many cases there is no dispute because the disability is apparent – if an employee is missing a leg the disability is obvious, and in many cases the disability is admitted. However, in many cases the disability is neither apparent nor admitted by the employer. How then to prove that the employee had the disability? In many cases, this requires testimony from a doctor. Doctors’ testimony comes in two types: Treating physicians and expert witnesses. Both may be used to prove the disability, but the rules regarding each are different. An expert witness testifies under New Jersey Rule of Evidence 702. This allows someone who is an “expert” by virtue of knowledge, skill, experience, training or education and can provide the jury or judge with scientific, technical or other specialized knowledge that will assist them in making their decision, to give their opinion on a matter which is beyond the knowledge of the ordinary judge or juror. However, an expert must be hired and paid to write a report before trial to give the other side notice of those opinions and their basis for it. The other type of witness is a treating physician. This is someone not retained to testify on matters to assist the jury or judge in their understanding of the subject matter, but rather as a fact witness to testify about what actually happened to the individual employee. A treating physician testifying as a fact witness is allowed to express her opinions only under New Jersey Rule of Evidence 701, which provides that a “lay” witness, as opposed to an “expert,” can render opinions which are rationally based on their own perception”. While a treating physician’s notes must be produced in pre-trial discovery, a report is not required. The treating physician’s identity must be disclosed to defendants in response to a discovery request for her identity. Sometimes the line between the permissible testimony of treating physicians and doctors testifying as experts can be blurry. Fortunately, New Jersey’s Supreme Court provided clarity on the matter in the recent case of Delveccio vs. Township of Bridgewater. Delvecchio was a dispatcher for the Bridgewater Police Department. She claimed that she suffered from irritable bowel system, anxiety and panic attacks, disabilities protected by New Jersey’s Law Against Discrimination. She sued the Department and her supervisors in the Superior Court of New Jersey, claiming that the Department first refused to accommodate her and then fired her because of her disabilities. Among their other defenses, the defendants denied that Delvecchio suffered from these conditions. Delvecchio sought to have her two treating physicians testify about their diagnoses of her conditions, and the treatment and accommodations they prescribed. The trial judge barred this testimony, ruling that because they were giving their opinions as to what her condition was they were “experts” and should have produced reports before trial. The jury ruled against Delvecchio. The jury found that she had not proved that she had a protected disability, and so never reached the question of whether the Department failed to accommodate her disability or fired her because of it. Delvecchio appealed. The Appellate Division of New Jersey’s Superior Court overturned the trial judge’s decision barring the doctors’ testimony. Then the defendants appealed to the New Jersey Supreme Court. The Supreme Court agreed to hear their appeal. In a unanimous ruling, the Supreme Court agreed with the Appellate Division that the doctors’ testimony should have been allowed, and ordered a new trial. The Supreme Court ruled that an employee can use a treating physician to prove she actually had the claimed disability which is protected by the New Jersey Law Against Discrimination, and the treating physician may even give opinion testimony pursuant to New Jersey Rule of Evidence 701, even without having produced an “expert report.” However, that opinion testimony is limited to issues relevant to her diagnosis and/or treatment of the particular employee. If the employee requires the opinion testimony of an expert, a report must be produced in pretrial discovery. In this case, the Supreme Court held that the experts should have been allowed to testify about their diagnoses of the employee’s purported disabilities and the suggested reasonable accomodations. Our employment lawyers represent employees and employers in cases involving disability discrimination and New Jersey’s Law Against Discrimination, and have a considerable record of success. Call us at (973) 890-0004 or e-mail to schedule an appointment. We can help.